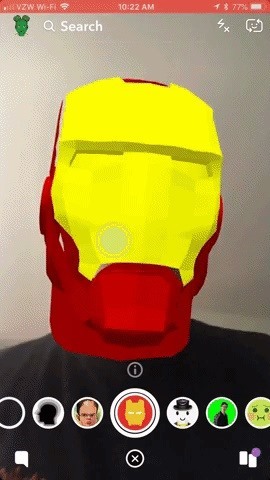 In this week of Snapchat lenses, there was a significant increase in ones that involve Marvel superheroes (the Infinity War effect), as well as ones with YouTubers. Classic sitcoms will also always do well, as evidenced by some of my previous roundups. Overall, lenses are doing well and only continuing to grow. 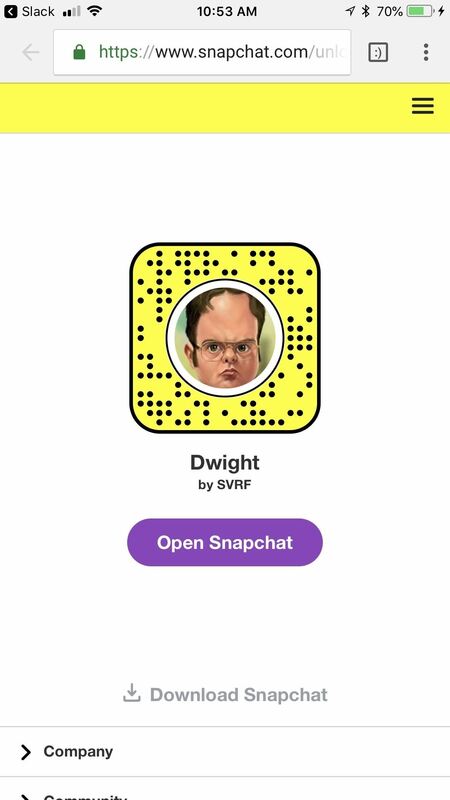 To open up a user-created Snapchat lens, simply scan a Snapcode or hit a link. And if you enjoy these lenses, send them to your friends so they can get in on the fun. Technically, everything here is a lens — as it was created in Snapchat's Lens Studio. 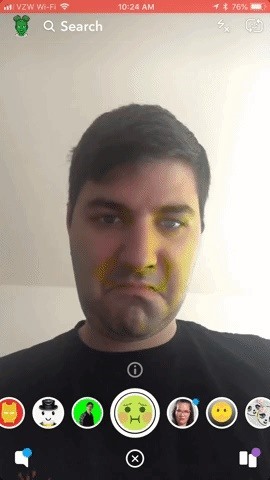 However, some of them feel more like filters (static overlays) than lenses (AR-based 3D objects). If that's the case, I'll be sure to specify. Mr. Stark, I don't feel so good. 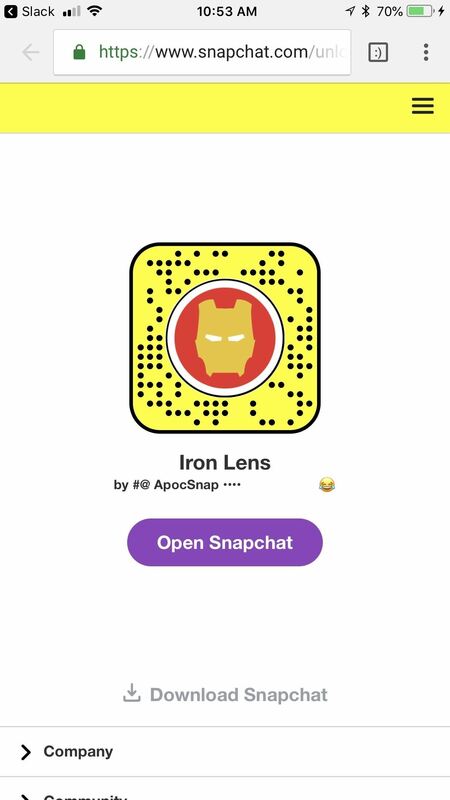 This lens by ApocSnap puts you in the shoes of Iron Man himself with a fairly realistic helmet. 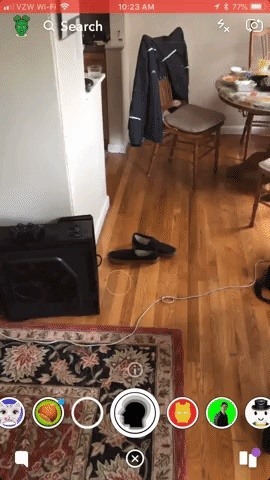 If you double-tap the screen to flip the camera view, you'll even get a cool little sequence with Jarvis. On May 13, iDubbz released a video where he stood in front of a green screen and said second-long quips for over six minutes, with the intention of people inserting him into memes. 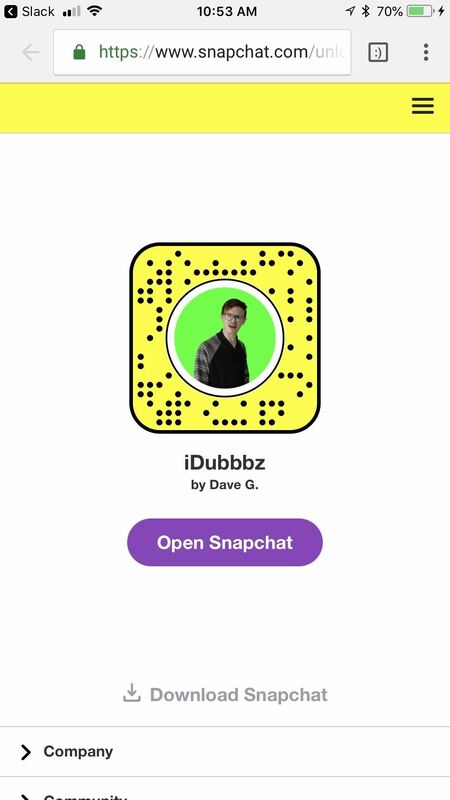 The fact that Dave G. made a lens (more of an overlay) shouldn't be a surprise. 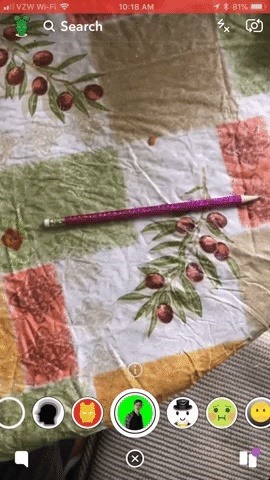 You can cycle through three of these phrases by swiping to the left while using the lens, audio included. This one would be higher if the execution was better. 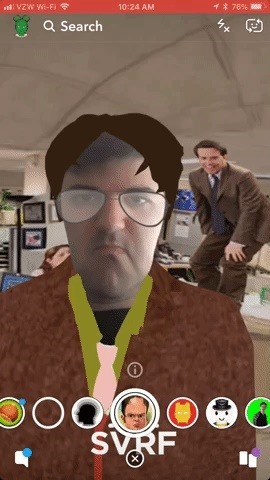 This lens by SVRF makes you look like Dwight Schrute (kind of) with a suit, glasses, and moppy haircut. The theme from The Office also plays, as some of Dwight's coworkers populate the background. If you keep the lens running long enough, there's even a fun Easter egg, which I won't spoil here. 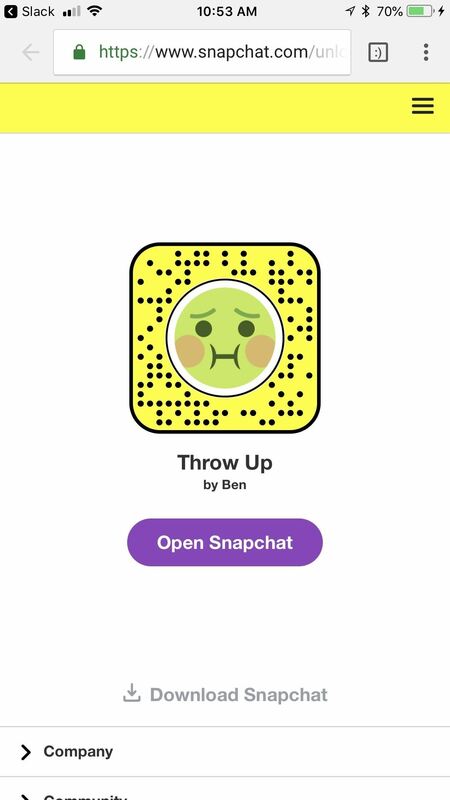 Sure, this lens by Ben is gross. But you know what? That's why I love it. Your face turns green, and you open up your mouth to blow chunks. Simple, disgusting fun. 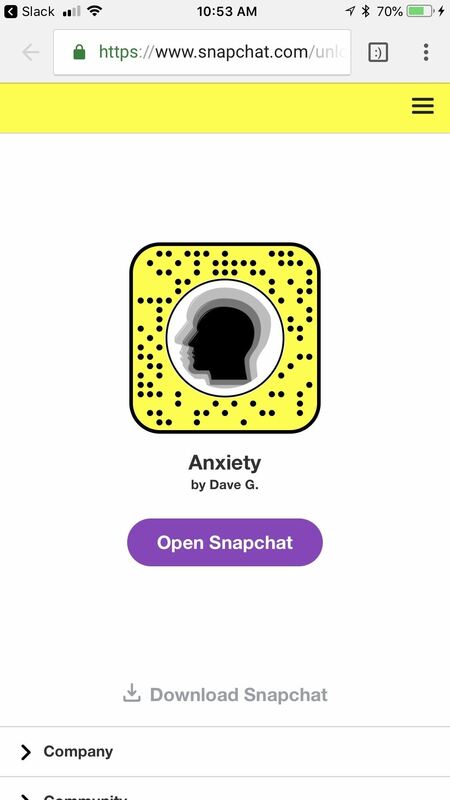 This lens by Dave G. (on fire this week!) reminds me of when you're about to die in first person shooters, how everything slows down while you scramble to find cover. Either way, it's a really cool effect. Tap the screen to have it begin pulsating, where it'll do so every second or so. You can tap it again at any point to have it pulsate on command. Now that you have the lowdown on the hottest lenses, be sure to use them well. By doing so, you support the lens-crafters and the scene as a whole.